LAUSANNE, Switzerland--(BUSINESS WIRE)--Ecole hôtelière de Lausanne (EHL) wins the title of Best Employer in French-speaking Switzerland in the category of medium-sized companies in the annual ranking of the magazine Bilan published this week. 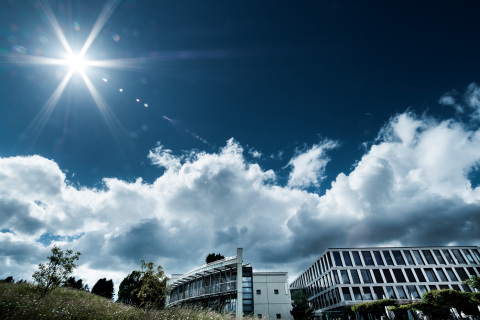 Offering a dynamic and pleasant work environment on the campus north of Lausanne, the 464 employees of 33 nationalities benefit, among other things, from home-office opportunities, seven weeks of vacation, access to sport facilities and up to three free meals a day. Reacting to the announcement, CEO of the EHL Group, Mr Rochat said "the quality of the work environment is one of the priorities set for the EHL management. It is important for us to be able to attract and retain the best talent to continue to provide the best training to our students, and maintain our leadership position in teaching Hospitality Management. We work on a number of fronts, whether in process transparency, gender equity, or the recognition of successes achieved within the institution, for example, sabbatical leave or the research award handed out each year within the faculty." Chief HR Officer, Pascal Gauthier adds: “As a university of applied sciences, the training and individual development of our employees is obviously important to us. We invest in continuing education at all levels of the organization. This is a very attractive benefit for our employees in an increasingly competitive job market." "We also strive to increase opportunities for our staff to communicate with management, through employee committees, expanded communication channels, satisfaction surveys and dedicated project groups. This principle of openness makes it possible to raise messages and new proposals in order to apply continuous improvement internally." Mr Rochat continues: "It's a great joy for us to receive this distinction on the occasion of our 125th anniversary, it shows us that we are on the right track." Ecole hôtelière de Lausanne (EHL) awarded best employer distinction in Bilan magazine 2018 ranking.